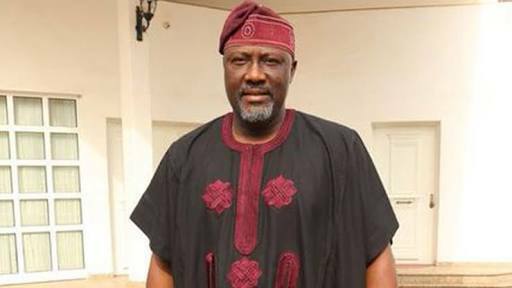 The Police said yesterday that Senator Dino Melaye and the four suspects rearrested for alleged conspiracy and unlawful possession of prohibited firearms will be arraigned at the Federal High Court in Lokoja, Kogi on May 10. The Force said the suspects would be arraigned in court for prosecution following the completion of investigation. Their escape led the Inspector General (IG), Ibrahim Idris, to remove the state Police Commissioner and also deploy personnel from special unit of the Force to investigate their escape. Explaining how the suspects were rearrested, the Force spokesman, ACP Jimoh Moshood, in a statement yesterday, said the principal suspects, Kabiru Saidu (a.k.a Osama) was rearrested in Bauchi State and Nuhu Salisu (a.k.a Small) was rearrested in Ganaja Village, Lokoja. Other suspects, who also escaped and others who facilitated their escape have also been arrested by personnel of the Force, who were deployed to the state. Moshood said: “As a result of intense raids, cordon and search operations carried out by the police team in some identified criminal hideouts and black spots in some locations in Kogi State and other states and working on active intelligence gathered on the whereabouts of the fleeing suspects, they were rearrested. Moshood added that the suspects who played various criminal roles in the escape of the six suspects and their suspected criminal accomplices have also been arrested and will be prosecuted along with the principal suspects in court. The Force spokesman, according to The Nation, said during police trail on the fleeing suspects, Atowoju was arrested in the process of relocating four of the escaped suspects: Saidu, Salisu, Mohammed and Audu from their criminal hideout at Ganaja Village, Lokoja to another location to escape police re-arrest. “Danjuma Yunusa a.k.a O2 accompanied the principal suspect, Kabiru Saidu (a.k.a Osama) to the house of one Egga Ochai by Waterside, Lokoja. He said: “Egga Ochai harboured Kabiru Saidu (a.k.a Osama) in his house for two days and thereafter went to the village of the principal suspect in Dekina Local Government and brought one Abbas Haruna (his Mallam) to Lokoja. “Abbas Haruna is the Mallam of Kabiru Saidu (a.k.a Osama). He also orchestrated his movement from Lokoja to his home town at Tafa Balewa Local Government Area in Bauchi State, where both of them were arrested. He hailed members of the public for giving the police timely information that aided the re-arrest of the suspects. The spokesman said the force’s fight against crimes and criminality remained unequivocal and unwavering.